Are you searching for healthy meal choices for you and your family BUT are tired of boring chicken, brown rice and broccoli? Do you want these healthy meals to be tasty, too? Are you trying to reach your weight loss and health goals but are feeling stumped by limited food choices? The answers are simple and just a YouTube search away! The following YouTube channels can help you save time, money, provide options and without requiring you to be a chef. 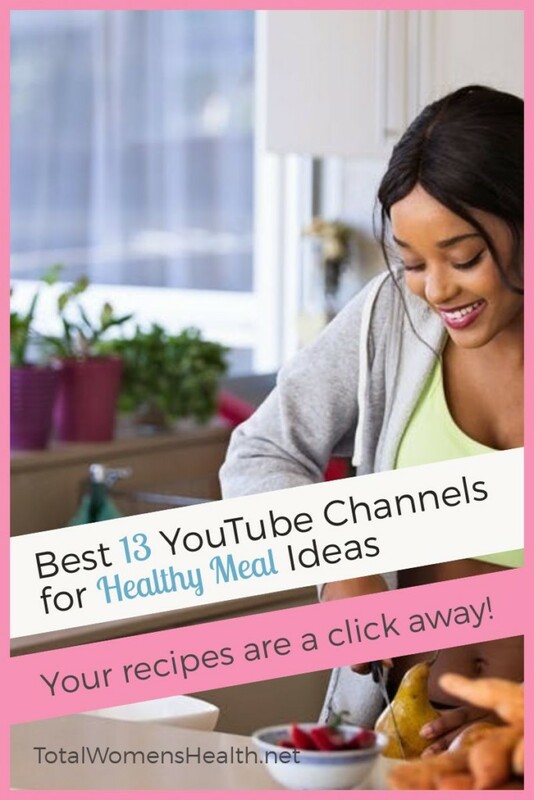 Follow these YouTube channels for delicious, nutritious recipes with step by step video instructions. The name says it all. The man is fit and he can cook! His meals prove that you can have healthy foods without sacrificing taste. His meals are not about a specific diet, but trading bad choices for healthier ones. With almost ½ million subscribers and over 40 million views, this channel is a great option for those looking to develop proper eating habits and exercise. There are videos for vegetarians, Paleo diets, and low-calorie eaters. The videos are quick! Just check in the description box below the video for recipe details. 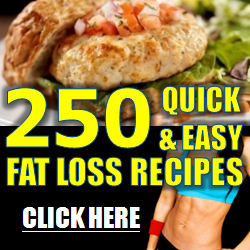 Paleo, Whole30, Gluten Free and Keto recipes are all here. 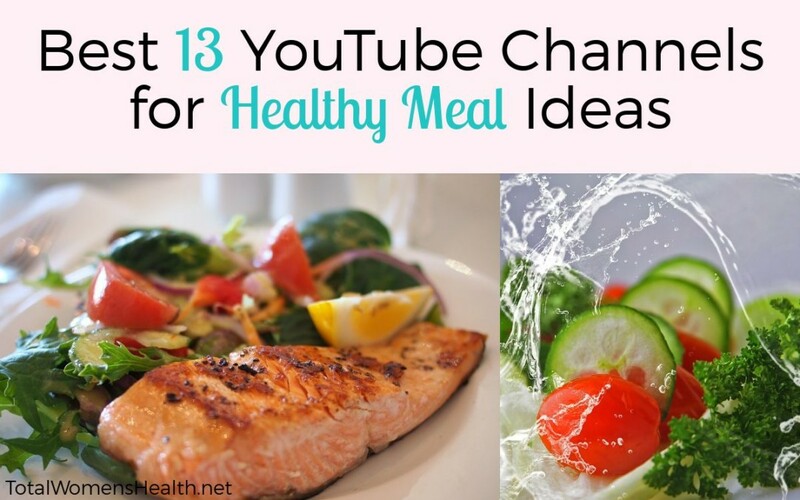 Lisa does have lifestyle videos sprinkled throughout, but the focus is on healthy meal choices. You are sure to find many recipes to try in your kitchen. And dont worry about getting board with the recipes, Lisa brings new recipes to the site every week. I Heart Umami is another channel dedicated to the Paleo, Whole30 and Keto Cuisines. The twist is that the recipes are Asian-inspired. The recipes are full of flavor and healthy, too. There are always new recipe videos loaded (weekly), so with such a busy site, you are sure to find something that tempts your taste buds. Rachel Ama is all things vegan! From pizza and pasta to Caribbean cuisine, this site has it all. The recipes are colorful and full of nutrients. Rachel also discusses healthy living, shopping, conscious living and meal prep. The channel is brimming with useful information and delicious-looking recipes. This guy is serious about healthy eating and bodybuilding! Although he has a few videos about OMAD (one meal a day eating), steroids and working out, he also has great meal planning ideas sure to help anyone keep their busy workweeks simple and keep you on track with your dietary choices. Meal prep (including a Women’s Meal Prep video) is the focus of this channel. Like many of the other channels, the Water Jug Fitness has a few videos sprinkled throughout about workout routines, but the main focus is on buying and preparing the healthy meals. RuledMe has great Keto diet recipes and tips. There are videos covering the Keto basics as well as how to incorporate keto into every aspect of meal prep like baking, alcohol and sweets (like the recipe above). Nikole covers everything from grocery shopping tips, wellness topics and recipes, you can stop here to find cooking inspiration. The channel covers challenges, food swaps and meal prep hacks. If you were around during the 90’s, you probably remember the talk show (and host) Jenny Jones. Well, did you know that she can cook? Jenny Can Cook has simple, home-cooked recipes that are just a bit healthier for those taking baby-steps toward healthy eating. If you are looking for nuts and berries, this is not the site for you (although she has a great granola recipe). Videos are not posted very often, but she may have more on her website. According to her website, she is about making food with less fat, sugar, salt, and other unhealthy things. The clincher is that they must taste good. Check out the channel. No list is complete without these guys! 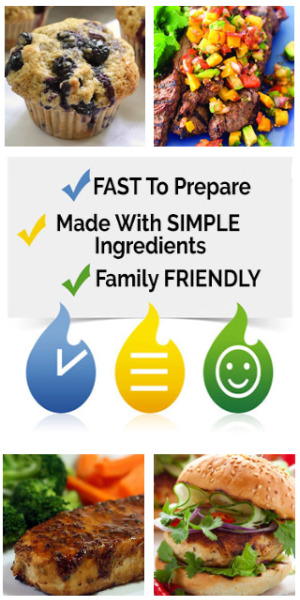 Whether you are a hungry college student or a busy mom, Brothers Green Eats has something for you. These brothers have been around for a while and continue to amaze with their new videos. Now, not all of the recipes are “healthy”, but if you search through their treasure trove of videos, I’m sure that you will find something that grabs your attention. They remake dishes from all over the world, as well as our family favorites. Be sure to check out their video “What you can cook to avoid the DRUG STORE”. It’s great! I love Monique’s channel. She has been featured on a few talk shows and I have tried many of her recipes. I have NEVER been disappointed. With that said, all of her recipes would not be considered ‘healthy’. But with over 500 recipes on her channel, you are sure to find some healthy ones. *All of the bold words should give you an idea of how strongly I feel about this channel. * This Diva CAN Cook! Laura’s channel is another fan fav! If you love Italian, you’ll love this channel. Again, it is not known as a ‘healthy’ channel, but with over 1300 episodes and 3 million subscribers, you can’t go wrong. Try swaping out some of the unhealthier ingredients for healthier choices. Check out her channel and scroll through your 1300 options to get some recipe ideas. FYI, just like Divas Can Cook, every recipe that I have tried from her site has been superb! Well, those are my choices for channels that everyone should peruse to get healthy recipe and meal ideas right from YouTube. Try out a few channels and get inspired. Since diet and exercise go hand-in-hand, click here to check out the Best YouTube Workout Channels for Women and combine healthy eating with exercise to get greater results. As with any lifestyle change, consult with your doctor and perhaps a nutritionist before making dietary changes. Do you have a favorite YouTube chef or home cook? Share in a comment below.